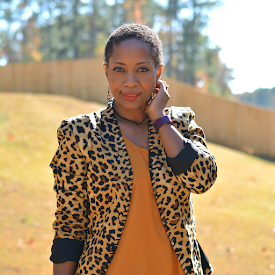 Skirts or dresses with pockets. They're the easiest. Jeans are insufferable in this heat. 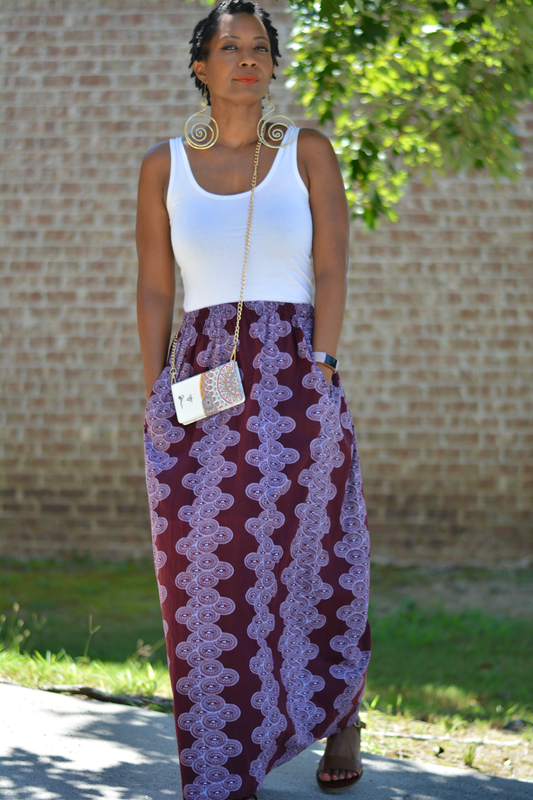 I head towards long maxi skirts that are unstructured so I can stroll and plop down in the grass if an impromptu picnic comes my way. Skirts with pockets are the best. I can fit my keys and a lip balm and leave my heavy mom bag at home. But what happens when your super fab skirt doesn't have pockets? If you're moderately crafty you can add pockets yourself. Instructions: (1) Using a dress or skirt that you already own, trace the shape of the pocket and cut out. 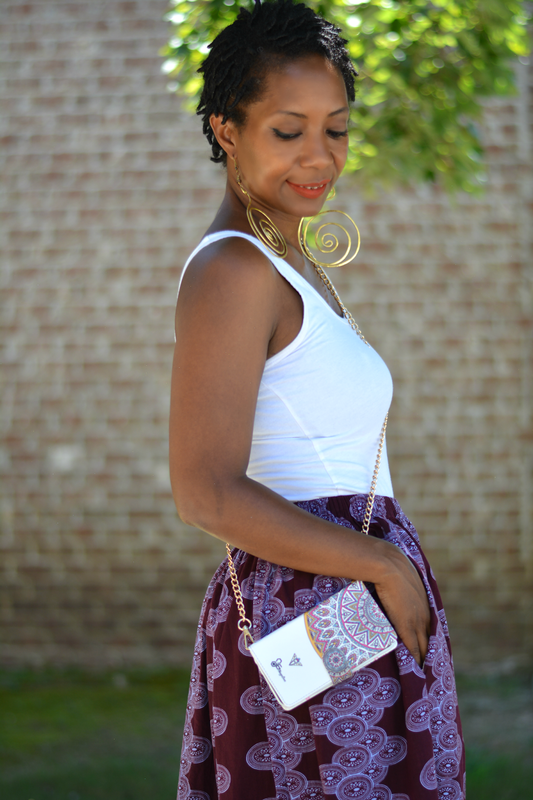 Open up the sides with a seam ripper about two inches from the waistband of your skirt. Continue down until it's the length of the pocket edge. (2) On the outside of skirt, attach a pocket piece to each open seam. Right sides should be facing. Sew the pieces on. (3) Push the pocket pieces inside the opening and turn the skirt inside out. 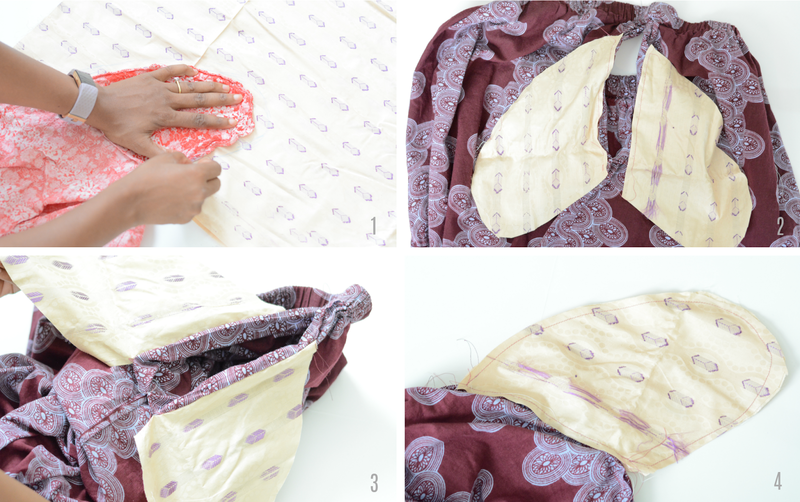 (4) Sew around the pocket. Done. Comfortable, flat shoes. I'm wearing my trusty sandals that I've been in 95% of the time this summer. My heels are for sitting and not running through the park. They go with everything and I can walk all day in them. An accessory or two. Earrings are my go to accessory now that I have short hair. I like them big and bold. 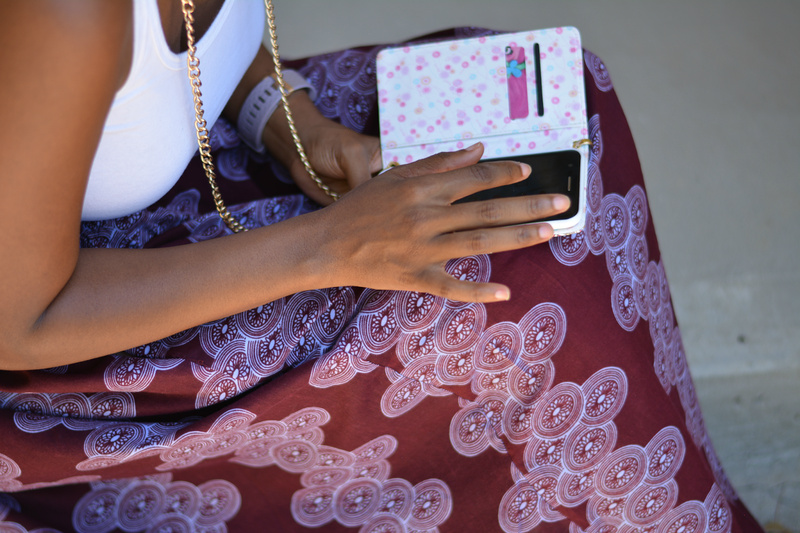 My other standard accessory is my phone because I have it in my hand or on my body most of the time. 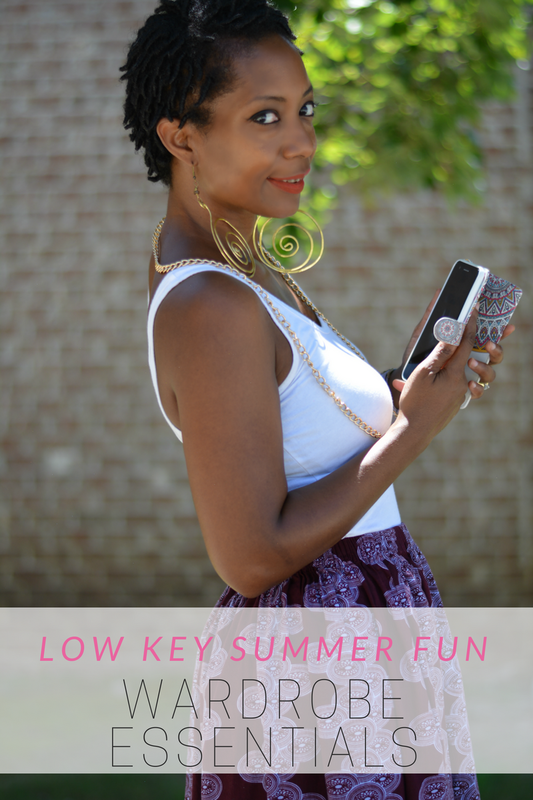 I've been rocking the LG Grace all summer. It was such a bargain and has all of the bells and whistles thanks to my $49.88 TRULY Unlimited Talk, Text, & Data◊ plan. 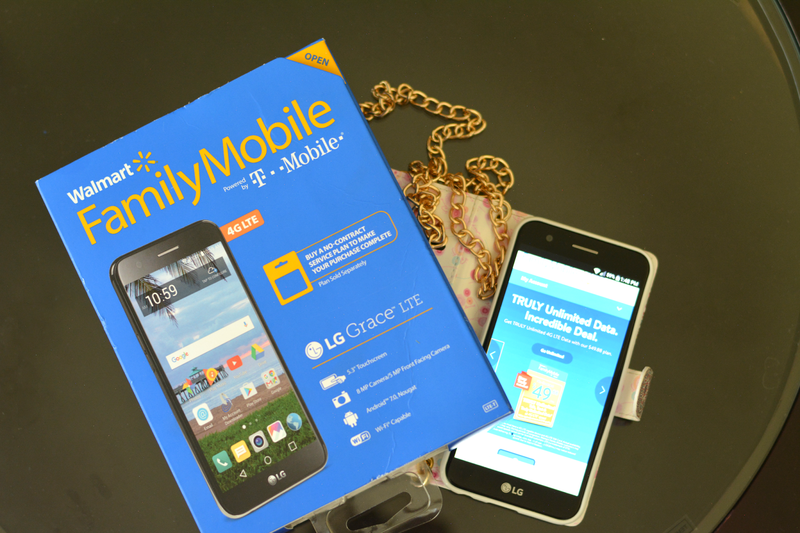 Walmart Family Mobile, powered by T-Mobile's nationwide 4G LTE network is a convenient no-contract, no activation or late fees wireless plan. The plan was easy and uncomplicated to set up on myfamilymobile.com too. I use a lot of data◊ so I'm glad I don't have to pay extra fees for it. This phone does all the things I need it to do and more. I can easily access all of my favorite social media apps. I can stream music. I can take pretty pictures and tell digital stories while on the go. Plus, the added perk up a free VUDU** credit every time I renew service. 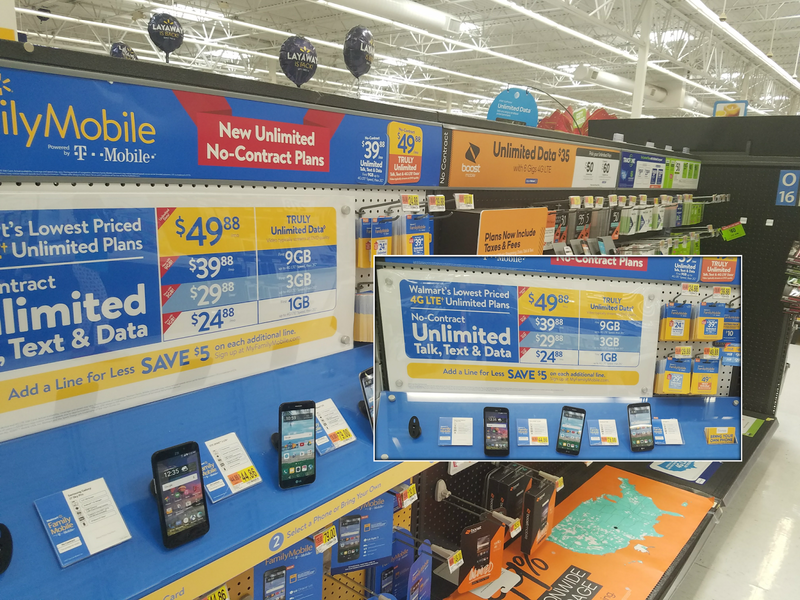 To find out more about Walmart Family Mobile plans and the great phones available, connect with them here or on Twitter. 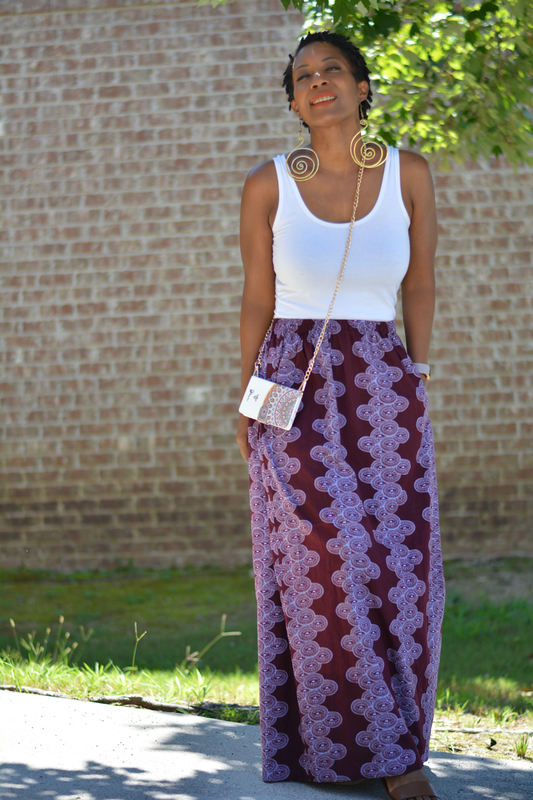 Skirt with pockets, phone in a wallet, flat sandals and go. No heavy mom bag to weight me down. I have all of my wardrobe essentials. I'm comfortable and ready to enjoy the rest of summer. What's essential for your summer wardrobe?